A large number of people think they get enough vitamins, minerals, and other nutrients from their everyday diet, but many don't realize that even the healthiest of diets can sometimes leave nutritional gaps. The daily use of a multivitamins can help fill these gaps and keep you on the road toward optimal health and wellness. 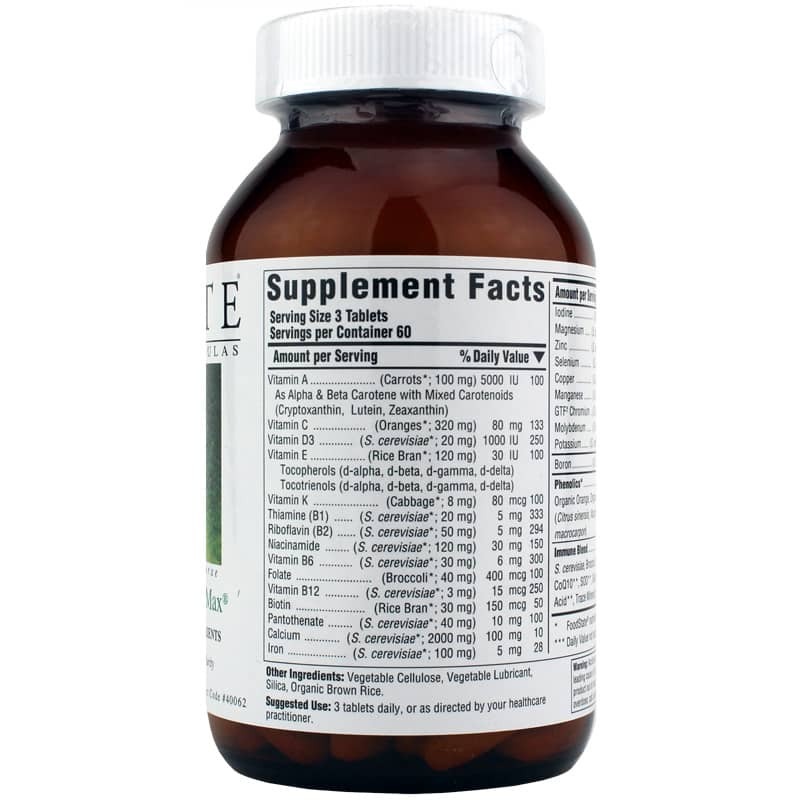 Food Multi III BioMax from Innate Response Formulas is a multivitamin that provides a number of whole food nutrients without any herbal ingredients to support your overall health. 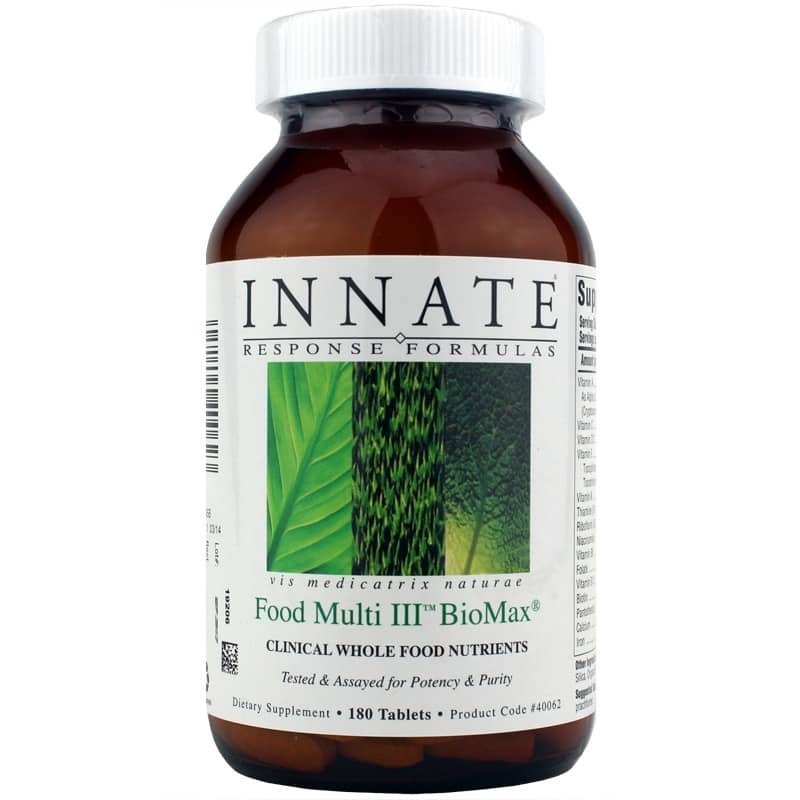 Every batch of Innate Response Formulas Food Multi III BioMax is formulated without soy, magnesium stearate, herbicides, gluten, pesticides, or dairy. Boost your health with an herb-free, whole-food multivitamin. Choose Food Multi III BioMax today, and see the difference it may be able to make for you. Order now! Other Ingredients: vegetable cellulose, vegetable lubricant, silica, organic brown rice. 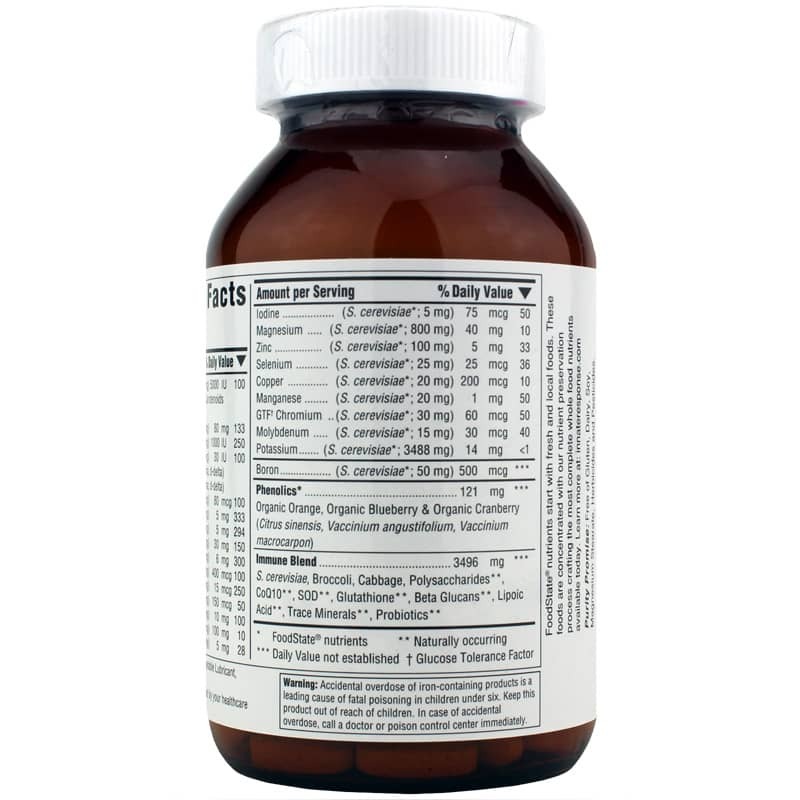 Contains NO: gluten, dairy, soy, magnesium stearate, herbicides and pesticides. Adults: 3 tablets daily or as recommended by a healthcare professional.